3 Days Congo gorilla trekking tour tour takes you to Virunga national park, Africa’s oldest protected area gazetted in 1925. The park is part of the Congo basin forests, the 2nd largest rain forest after Amazon. 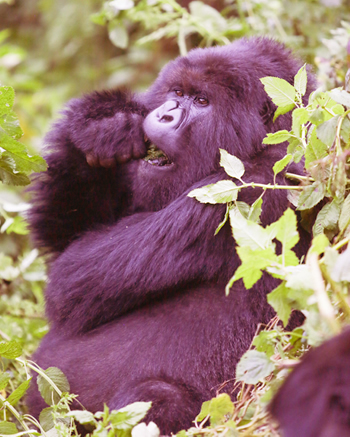 The tour offers you gorilla tracking which gives you a wildlife experience of central Africa. Virunga national park is home to gorillas, chimpanzees, more than 400 birds and two active volcanoes. Virunga is recently becoming a popular gorilla trekking destination owing to the current security prevailing in the eastern part of Congo. 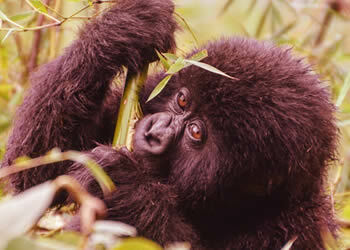 Today Congo offers the cheapest gorilla permit as compared to Uganda or Rwanda. At 07:15am after breakfast head to Bukima patrol post. Guides will brief on virunga gorilla rules including wearing gloves and covering your mouth but all is meant to minimize risk of human disease transmission to gorillas. You will trek through the thick rainforest with your local Congolese guide, hopefully encounter the gorillas and spend 1 hour admiring how they feed and play. Return to your lodge for lunch. In the evening you can take a village walk around Mikeno to meet local Congolese. Enjoy campfire back at the lodge for diner. After breakfast, you leave virunga national park driving back to Kigali via Goma, a city once destroyed by volcano eruptions. Upon arrival in Kigali you will transferred to your preferred place.